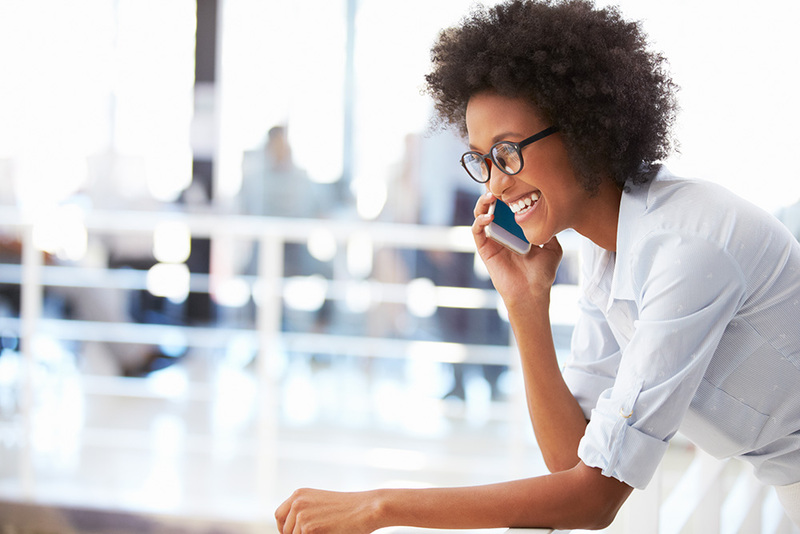 Get paid to let us use your smartphone processor while you're not using it. Download the app and start earning, it's that easy. We use your smartphone processor when you’re not using it – when your phone is charging and connected to WIFI. So we don’t drain your battery or use up your data plan. Get paid to let us use your smartphone processor while you're not using it. Download the app and start earning, it's that easy. We use your smartphone processor when you’re not using it – when your phone is charging and connected to WIFI. So we don’t drain your battery or use up your data plan. We don't have access to any of your personal information. We can't see your photos or videos, we can't listen to your conversations, and we don't use your precise location. We don't display ads. And we don't collect information about you to sell to advertisers. No Ads. We use your processor to help our customers get their work done. For example, we help businesses test their websites. We only use your processor to do legitimate, legal, and ethical business. Top-earning users will get $80/year for letting us use their phone* while it is charging 8 hours at night. Or $240/year for a spare phone charging all the time. That adds up to $320/year for a main phone and one spare! * modern Android smartphone such as Galaxy S6, S7, S8, S9, or S10, which are in our Gold Device Performance Category. Earning rate depends on phone model. Only available on Android. Limited to 5 phones per user, and only one user account per person. Emulated devices are not permitted. Devices must meet certain requirements. See Payment Schedule, Device Requirements and Terms of Service for details. 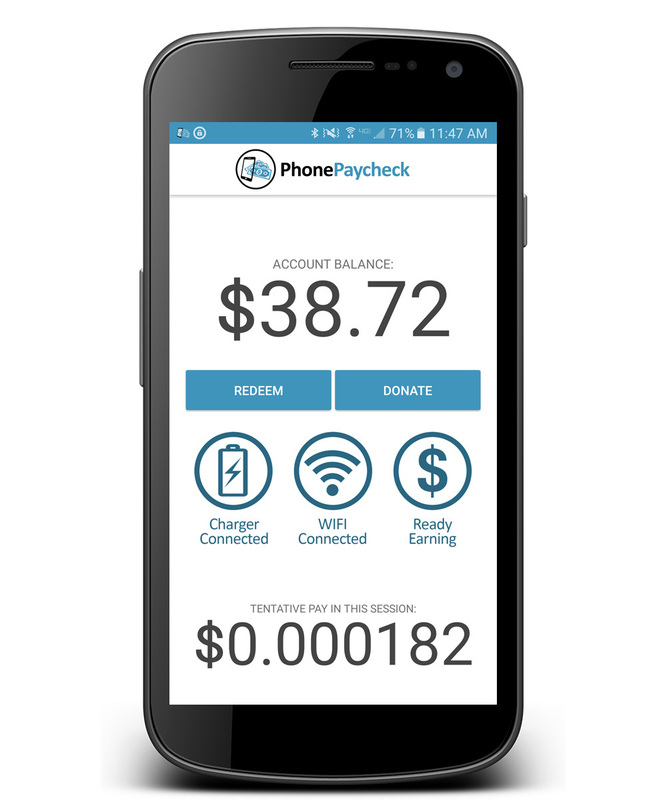 You can find out if your device meets the minimum requirements by installing PhonePaycheck on your device and checking the Device Properties page in the app. If it does meet the requirements, your device will be automatically place on our Waiting List. You can also find out from the Device Properties page which earnings category your device is in (Gold, Silver, or Bronze) . You can also find our list of devices and ratings on our Device Requirements page. On August 6, 2017, we reached our limit of activated devices for our first stage of growth. Since then, we have been putting new users and devices on our Waiting List. As we get more customers for Neocortix Cloud Services, we will periodically admit new users and devices from our Waiting List in the order in which they registered. 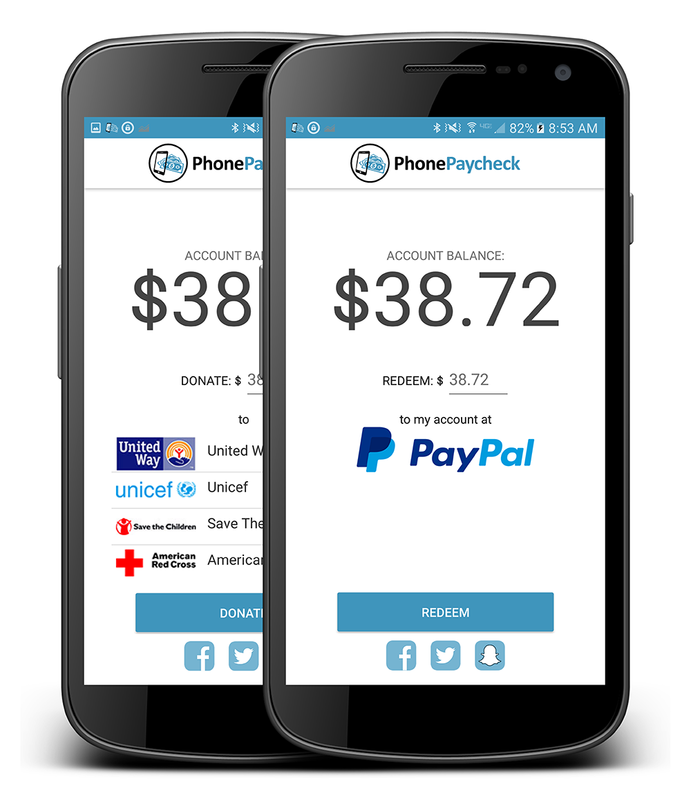 If you install PhonePaycheck and keep it installed, you are automatically put on our Waiting List, and you will hold your place on our Waiting List for new users and devices. And when we do activate a new group of users and devices, we will send everyone on the Waiting List an email to let them know it is happening and what to do. Instead of buying lots of computers, we're paying people all over the world for the use of their idle phones. And we give them the opportunity to donate their earnings to their favorite causes.